Aurora Rising is a RPG set in a fictional futuristic universe. 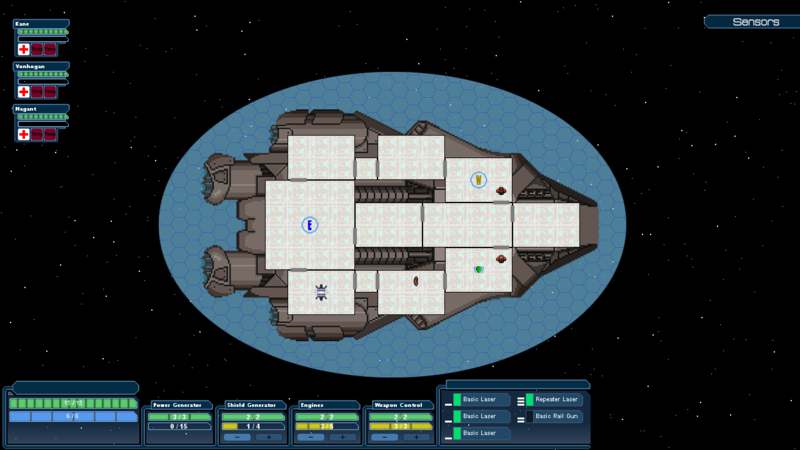 The game strives to create a balance between dynamic space combat, crew micromanagement, strategic ground combat, and elements found in more traditional RPGs. Elements such as hidden items for you to find, new skills for your crew members to discover and a compelling storyline. The game will take you from your homeworld to the far reaches of the known galaxy and beyond, exploring nebulas, meeting new alien races and exploring ancient alien ruins. How was this game conceived? Like many people last fall, I found myself playing way too much FTL (Faster Than Light) and loving the experience. But every time I played the game I found myself thinking, “I would love to have this experience in a more traditional RPG setting”. So after a lot of thought, I decided to focus all my efforts into making such a game. Where is the game at now? The game is currently in a Pre-Alpha state. 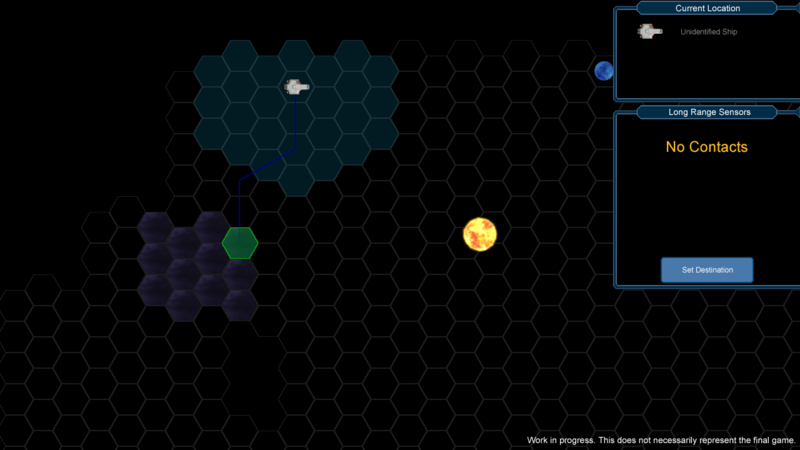 The game has been in development for nearly 4 months now, and most of the basic systems (space combat, ground combat, cover system, stealth mechanics) are already in place. However, much of the artwork currently in the game is a placeholder. Crew inventories and stores also need to be completed. After which, I will be able to shift my development focus from adding features to adding content. There are four main focuses for the game: Ship/Crew Customization, Space Combat, Ground Combat, and Exploration. This element can, more than anything else, make or break a game. Aurora Rising will include many customization options. All of your ship systems can be upgraded, but not every upgrade is strictly linear. 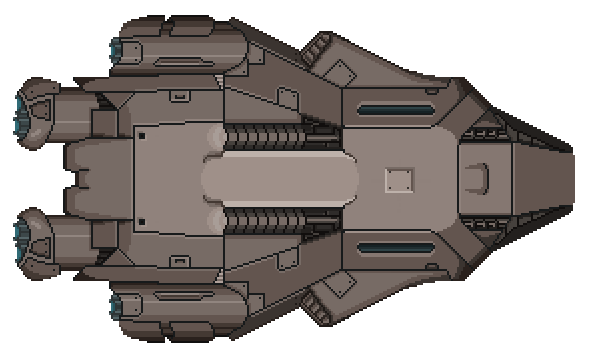 Ship Systems can be broken down into 5 levels across the game, with higher level systems generally being superior to lower level systems. However, this is not always so. Each level will have different variations of the system to choose from, such as a shield that regenerates very fast versus a shield that reduces damage from projectile weapons. So if you are going up against a lot of enemies with projectile weapons you may not want to ditch your projectile damage reducing shield system for a higher level system unless it too offers projectile damage reduction. Systems you will be able upgrade/modify in this way will include (but not limited to): Power Core, Shield Generator, Weapons Control, Teleporter, Engines and Navigation. You may find ship upgrades on ships you disable, be offered an upgrade for completing a mission, or purchase an upgrade from a store aboard a friendly or neutral space station. Crew members will have even more customization. Their customization is twofold: active skills and gear. Each crew member will be able to have up to 3 active skills that can include such things as throwing various types of grenades, shield barriers, ammo refills, healing a fellow crew member, or active stealth (cloaking). Each crew member will be able to level up and specialize into different active abilities, allowing you to customize your crew to fit your play style. You will also be able to acquire gear for your crew members, such as different weapons, armor, and personal shields. This gear will not only boost their stats, but also the potency of their active abilities. You will be able to find gear on enemy ships and during away missions by looting enemies, rummaging through cargo containers, or purchasing the items in shops aboard friendly or neutral space stations. A large portion of the game will focus on real time ground combat, which will be a very strategic experience. Utilizing the game’s pause function the player can carefully plot out all of their moves before engaging the enemy. 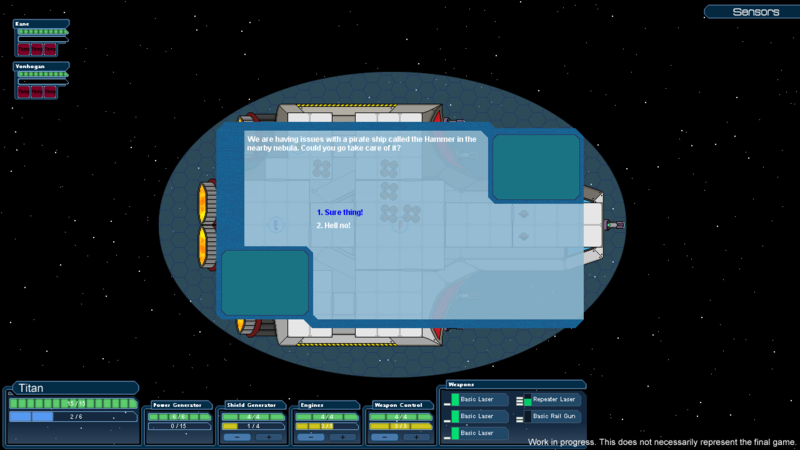 The game also employs a destructible cover system, allowing your crew members to avoid damage by properly positioning themselves behind cover. You can view all the cover on the map whether you are in space, on your ship, aboard an enemy ship, or on an away mission to an alien planet, by means of the cover view. 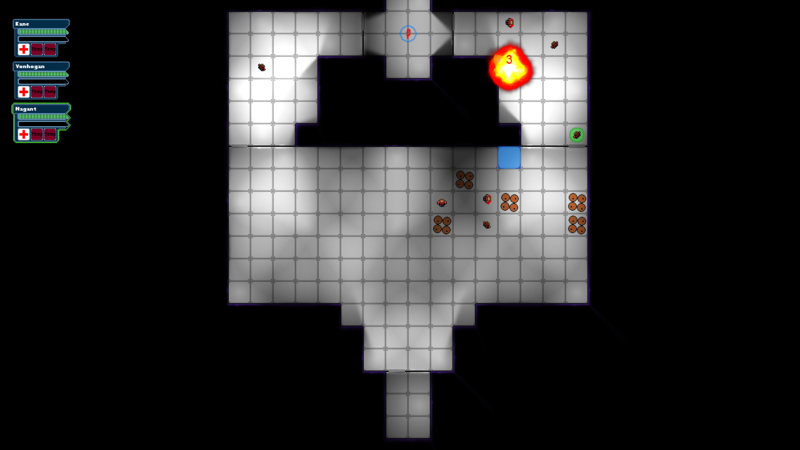 The game also has a stealth element to it, where the enemies will not react to your away team unless they are spotted. So you could go into combat guns blazing or sneak your way past the guards and set up an ambush. Be careful though, the enemies may alert their friends and overwhelm your away team if you are spotted. You will need to micromanage your crew, telling them what systems to man and what systems to repair, all while battling against one or more enemies. It is even possible to go into combat with one or more allied ships at your back. You will also need to micromanage your systems and weapons, including allocating power. The amount of power you can allocate to your systems and weapons will be dependant on the type of power core you have installed. Each individual system has a minimum power requirement and a maximum power limit. To turn on a system you must provide at least the minimum power requirement to the system, but you can boost the efficiency of the system (like increase shield regeneration) by allocating more than the required amount of power (up to the maximum power limit). 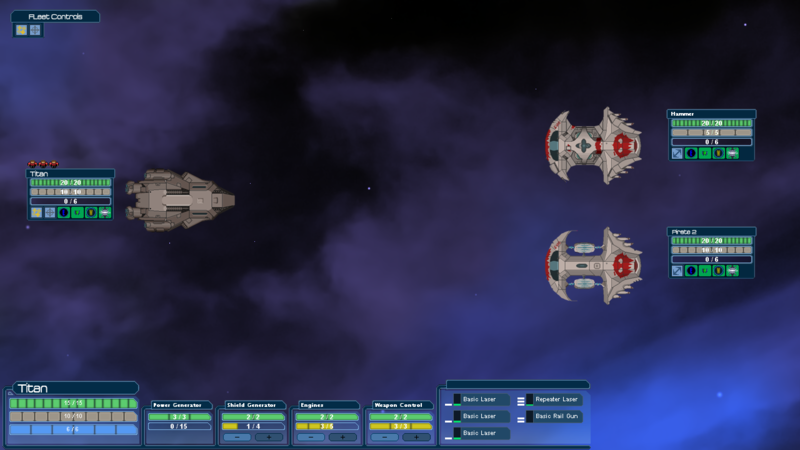 Aurora Rising supports fighting multiple ships, as well as having ally ships fight along side you. You do not have direct control over ally ships but with the Fleet View you will be able to issue orders to your fleet (including targeting a specific ship/system or letting your allies choose their own targets). You will also be able to easily keep track of your crew if they are on more than one ship, with the crew icons appearing above the ships they are on. Space Combat will begin in the Fleet View, giving you a good overview of the battle at hand. You can zoom in on any of the ships by clicking them, and zoom out again by pressing "Backspace" (or whatever key you bind to that function). Pressing "Backspace" in Fleet View will automatically zoom in on your ship. The main storyline will take you from system to system. In each system you will have missions to complete before being able to move on, however there is more to these systems than just the main story line. There will be optional side missions that offer additional story lines and extra loot. Random encounters will make each play through of the game its own unique adventure. Exploring will also reveal secrets which you will miss if you do not take a moment to look around. The game takes place in a universe where humanity is on its last leg. Driven from earth nearly two decades prior, after a long and bloody war with a subset of genetically enhanced humans who call themselves the Vandari, humanity was beginning to recover on their new homeworld of Aurora. It was estimated that only around 150,000 humans still remained in the universe, and for the first time since the war that number was beginning to grow again. Your story begins as you take control of the newest ship in Aurora Defense Force (the ADF). Created as a last line of defense if the Vandari every decided to try and wipe out the remaining humans, the defense force was mostly comprised of old transport ships that had been retrofitted for combat. Your ship was among the first new ships to be added to the fleet since Aurora was colonized. Humanity is beginning to breath easy once again, beginning to feel safe in their new home. But little did they know that a new evil is sweeping across the universe with Aurora as its first target. Where and when will the game be released? The current goal is to have a November 2013 release date, but this may be pushed back if I have to get a job before the game is complete. The goal is to get the game on Steam through Greenlight, but at the very least the game will be sold through the game’s website (coming soon) DRM free. The beta for the game should begin in either June or July. More details to come. Graphics Designer - Currently I am doing all the artwork myself and I am not an artist. Part of the funds raised will go to pay a graphic artist to help out in the creation of animations, ship designs, etc. Sound Designer - Every game needs a soundtrack. Part of the funds raised will go to paying for the creation of an awesome soundtrack. Starting a Business - Publishing a game means creating a company to handle all the licensing and other expenses. Part of the funds will go to this endeavour. $35,000.00 - If this goal is reached I will not need to take on a full time job before the game is released. This will allow me to focus all of my time and energy to make the game into something truly amazing, and avoid any delays in the release date of the game. Currently I am the sole programmer on this project, and as such the release is completely dependent on me. If the secondary goal is not reached I will need to get a full time job before the game can be released, and that could result in the release date being pushed back by several months. However the game will be released in either case. Receive a DRM free copy of the game on Windows when it is released. Receive the above rewards and get access to a beta where you can help improve the game. Receive the above rewards and a digital copy of the soundtrack. Receive the above rewards, a PDF strategy guide with detailed back stories, quest hints, equipment lists, and more, and a thank you in the game's credits. Receive the above rewards, and an extra game & beta key to give to a friend. Receive the above rewards, a very special thank you in the credits, your choice of a limited edition poster OR a limited edition t-shirt. Receive the $70 and lower rewards, a limited edition poster, a limited edition t-shirt, a very special thank you in the credits, and have a character named after you in the game. Receive the $120 rewards, and help create your very own side mission in the game! Receive the $120 rewards, and help create a new alien race! Help determine their look, their back story, ships and impact on the galaxy!